MAC Note: Alternative Soundfont (.sf2) can be used if placed in "USER/Library/Audio/Sounds/Banks/MidiAndMusicXmlPlayer/", where USER is your user-directory. I like the free soundfont "FluidR3_GM.sf2". Find the one you like. Turkish Makam Music Symbolic Data Collection: 2200 tunes are in this collection of MusicXML-files. The tunes are described by: "Karaosmanoğlu, M. K. (2012). A Turkish makam music symbolic database for music information retrieval: SymbTr. Proc. Int. Society for Music Information Retrieval (ISMIR)". You may also find information in the papers of Sertan Şentürk. 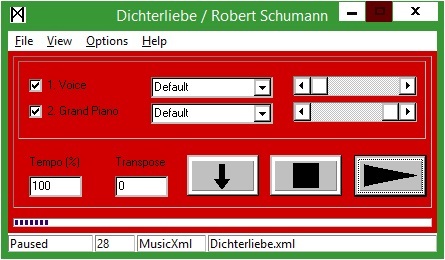 The 2200 tunes are converted from the .mu2-format preserving the note pitch and can be played by MidiAndMusicXmlPlayer. The files will however not look right in notation programs - but an option to the converter program can make the note sheet look right in Musescore. Note me if interested, then I can put the converter-program on the home page. (The notation program Mus2 can display and play the .mu2 file) A few tunes are converted with errors - I added these anyway hoping that this will help correcting the original file. 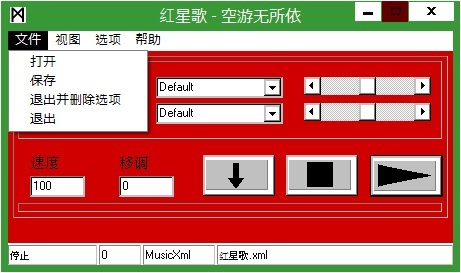 A message in the end of the XML-file describes the problem. You can get the tune to sound a lot better by installing another soundfont. There are several free soundfonts for the instruments Ud and Kanun. GarageNotes: A program to copy notes from Garageband. Please contact Magnus at magnus.lind@programfabriken.com if you want to use this program.